Serving Ardsley, Scarsdale, and Dobbs Ferry and beyond, NY (New York) - Dr. Gregg Fader is your orthodontic specialist, offering Invisalign® and braces for children, teens, and adults. We have a rare combination of excellent treatment in a family environment, where everyone is treated with respect and kindness. The people that come into our office are so much more than patients; they are our friends, family, and neighbors. At Ardsley Orthodontics, you will achieve a beautiful, healthy smile that will last a lifetime! Dr. Gregg Fader provides custom treatment plans and gives individualized attention to his patients at each and every visit. He has years of hands-on training and experience with the most advanced orthodontic techniques, including clear and metal braces and Invisalign. Our facility is equipped with state-of-the-art technology to ensure our patients receive the highest quality of care possible. Your time is important and we guarantee that you will be seen at the time of your appointment. We don't think you should have to wait around to get a great smile! 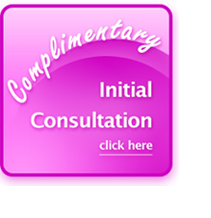 Contact our friendly staff today to schedule your complimentary orthodontic consultation. We are centrally located and offer convenient hours, including Saturday appointments, to fit into any family's busy schedule.